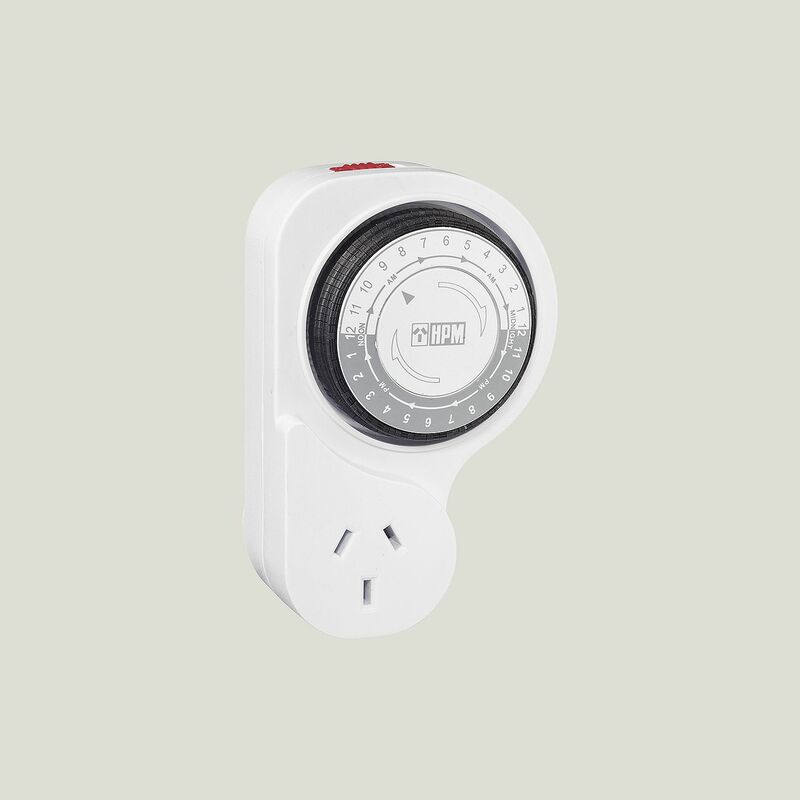 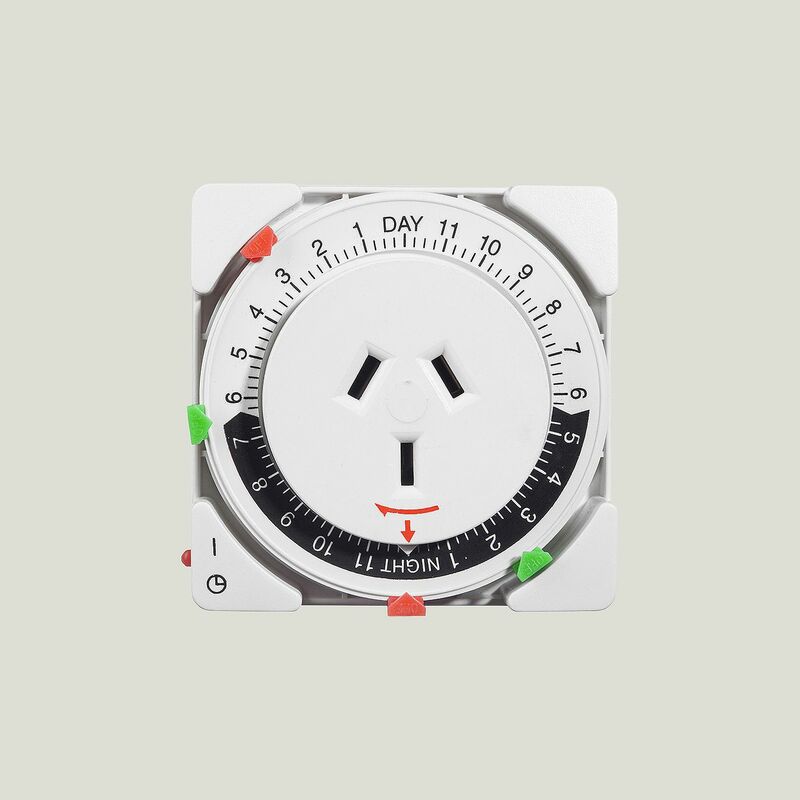 This is a 24hr easy set timer. 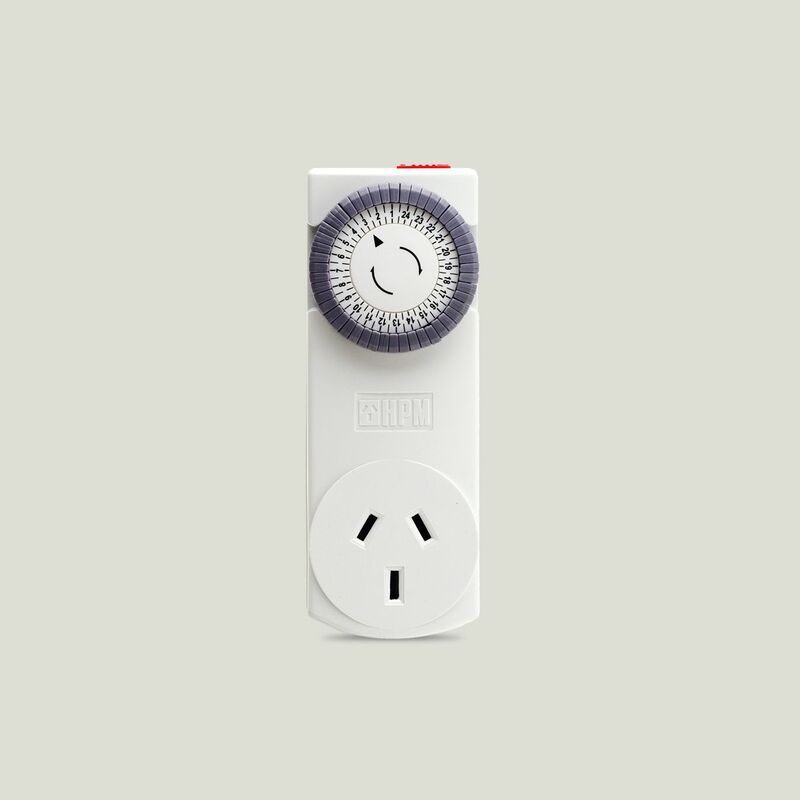 It magically turns appliances on or off automatically for energy-saving and convenience. 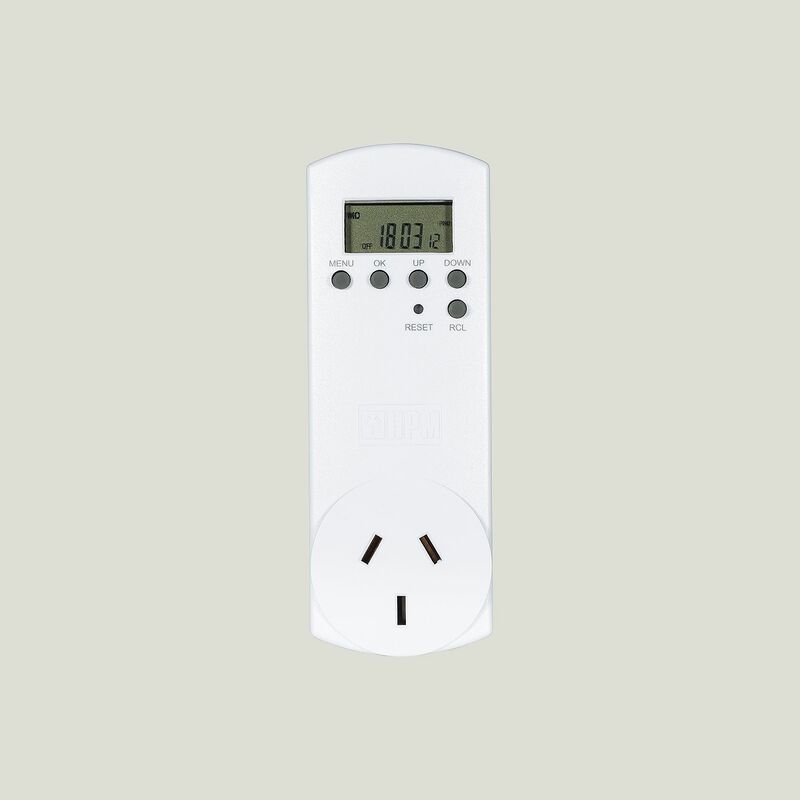 It’s unique shape means it doesn’t block your whole double powerpoint – it leaves the adjacent power outlet free for other appliances. 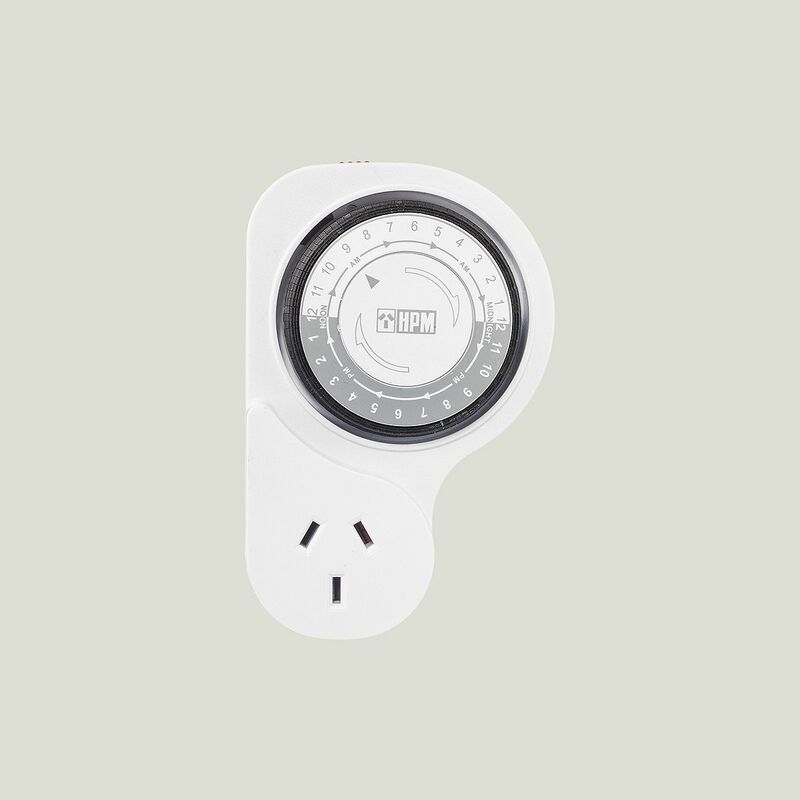 Use it with festive lights, lamps, heaters, heated towel rails, dryers, washing machines, coffee machines and other kitchen gadgets.